YES! 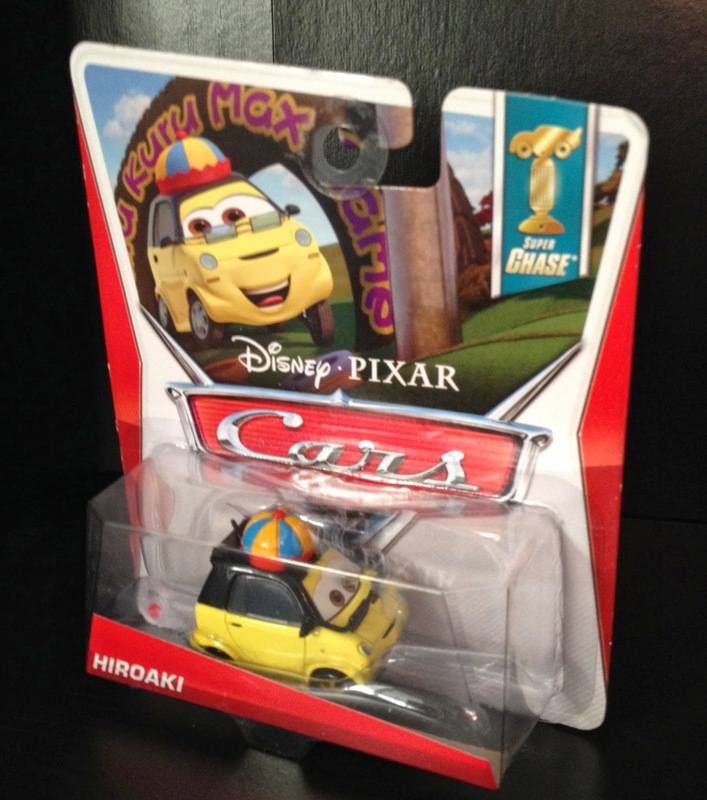 Another Mattel "Super Chase" diecast car from Cars 2...Hiroaki! 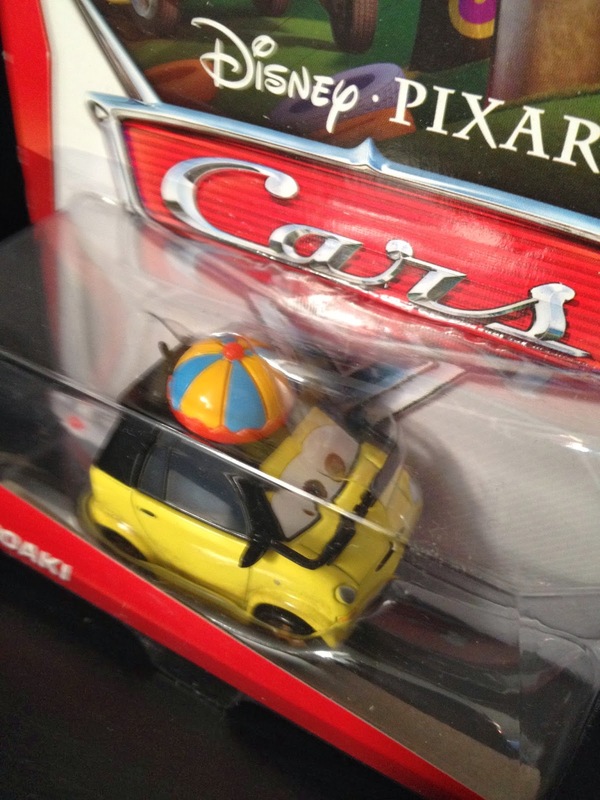 There were three super chase cars (meaning extremely limited quantities made-less than 4,000) in 2013 and this is my 2nd one. The first super chase I got was Takeshi, back in August. The only one I'm missing now is Yukio, which seems to be the hardest to find and most expensive of the three sold online. All three super chases are from the brief scene in Cars 2 when Mater and Mcqueen are watching the Japanese version of the show "Wipeout" during their plane ride to Tokyo (screen shot above). Who here has had luck finding any of the super chase cars? I want to hear success stories!